Hailing from Tucson, the Privy Tippers are a rock-solid dance band steeped in the Southern string band tradition. 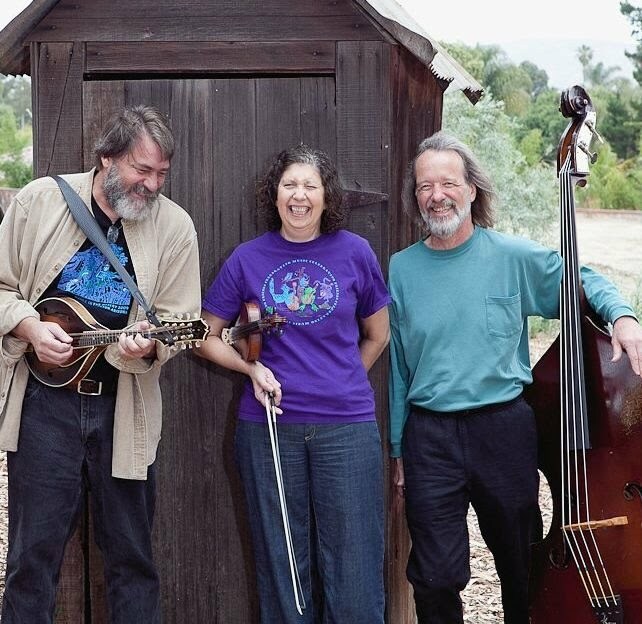 Over the past 21 years they kept one foot in the South while they stepped into several other musical traditions, such as French Canadian, New England and music of the Southwestern Borderlands. Jacquie Wohl leads the band with her driving melodic fiddling. Dave Firestine is an exceptional lead and back-up mandolin player who adds a danceable punch to each and every note. On string bass, Jerry Ray Weinert lays the rhythmic foundation for the musical dance of the fiddle and mandolin. The Privy Tippers are fortunate to have two skilled guitar partners, depending on performance location. Jesse Jacob Anderson, from Flagstaff, AZ, plays guitar and clawhammer banjo (and sings when we can get him to). When he's not playing with the Privy Tippers, he performs solo on the Grand Canyon train. Given Harrison, from Carlsbad, CA, brings years of multi-instrumental experience from Old-time, Bluegrass and Country music traditions. Given is a talented writer and the band is amazed that he can remember the words to 10's and 10's of songs.